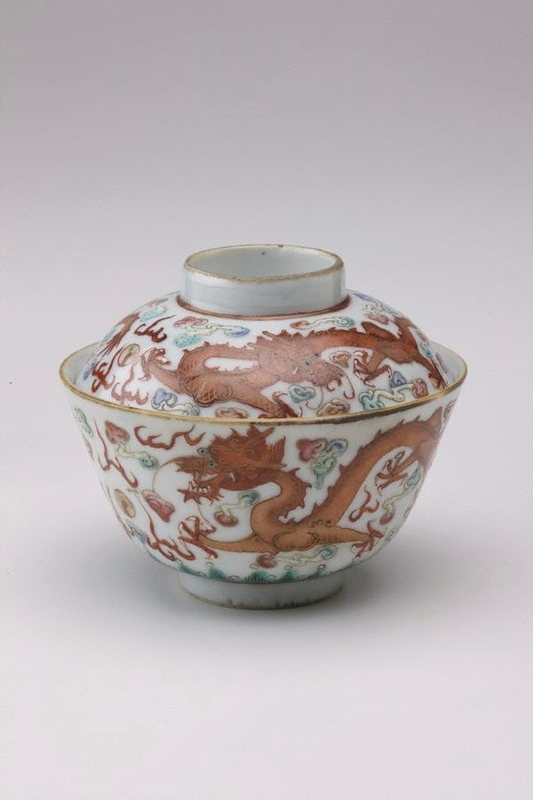 On both the lid and the cup are two pairs of five-clawed dragons chasing a flaming pearl. Two of the dragons are turning their heads away from the pearl. Flaming cloud and 'lingzhi' styled clouds (representing longevity) float amongst the dragons.